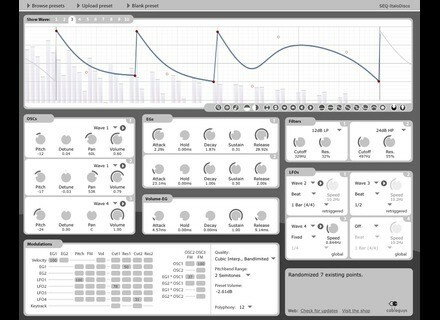 Curve, Other Virtual Synth from Cableguys. Cableguys has announced that Curve 1.2 is now available for public beta testing. Modulation of individual OSC parameters. Saving of presets without community upload. 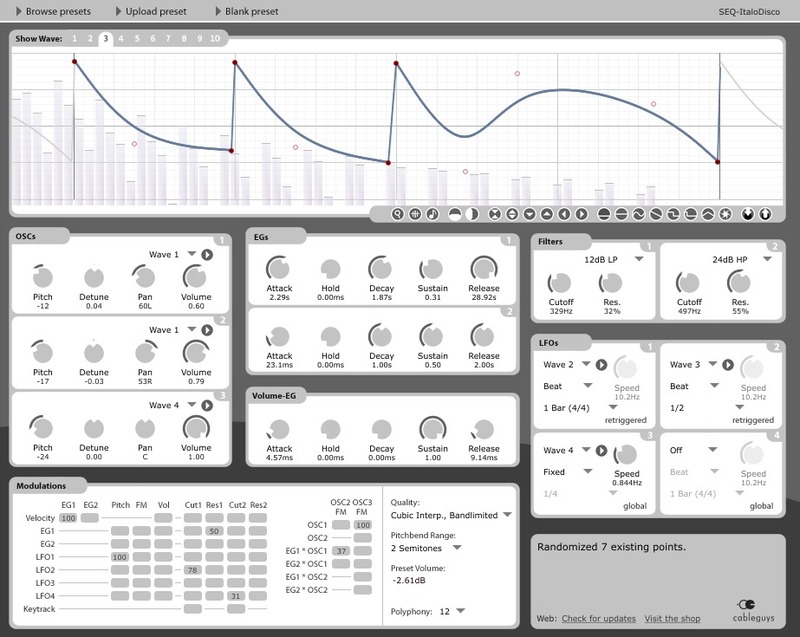 Curve 1.2 also brings 64-bit support for Windows, a new polyphony algorithm, and a new sound for fast-running LFOs. All free for existing users. The beta has the same restrictions as a demo version. Its preset library is independent from Curve 1.1.1, and you can run both Curve versions in parallel. This first beta comes without presets. Note that features can change while Curve 1.2 is in beta. Prime Loops Rasta Vocal Samples 2 Prime Loops introduces ‘Rasta Vocal 2’, a series of shouts and phrases taken from three ragga MCs designed for dubstep, hip hop, breakbeat, drumnbass or bass-heavy tracks. Green Oak Crystal Synth XT App Green Oak Software has updated Crystal XT for the iPad, iPhone and iPod Touch to version 1.2. Analog Factory Subbooom Kicks Subbooom Kicks is dedicated to the deep subkicks which you can hear on Industrial/Hip Hop or Metal productions.